Shimale has unbelievably suffered from prolapse for 20 years - yes, 20 YEARS! - ever since the birth of her last child. She’s a 55-year-old widow and has given birth to nine children but only one has survived. She lives with that daughter. When her surgery was finished the smile on her face filled the room and she would not let go of my Dr. Nat'e’s hand. She was SO thankful to you for her care and for the way that her life was changed! Isn’t her smile amazing!? According to Dr. Nate, it was even bigger in the operating room! Wayze thinks that she’s around fifty years old but she’s not sure. She is widowed and has had six children, three of whom are still alive. She’s had prolapse for three years and her surgery went extremely well. Thank you to our donors! Abebech is a 50-year-old widow who has three surviving children to help take care of her. She’s had prolapse for four years and her surgery went extremely well. Thank you! Balote is also 50-years-old and widowed. She has had four children but only one has survived. She lives with her son and his family. She had severe prolapse for two years and the doctors were able to perform a definitive surgery for her. She was so pleased and excited to have her surgery. As she prayed before her surgery she thanked the Lord for all of you. Workenesh is 45 years old. She lives with her husband and two of her children. She has had seven children and five have survived. She’s on the road to recovery after surgery and is grateful for this opportunity. Algatu is a widow, who has delivered four children, all of who are living. She has suffered from prolapse for six years and is so thankful to our donors for their help! This young married woman‘s name is Buzunesh. She has delivered eight children and seven are living. Her youngest is four years old. She has had prolapse since her last delivery and is now free from this issue. Nigist is married and had suffered from prolapse for one year. Thank you for your generosity. It has made a big difference in Nigist’s life. Gelane is 45 years old. lives with her husband and has seven children. She had suffered from prolapse for 10 years before seeking help. She was so thankful for her surgery and your kindness and generosity. Mulunesh Arzo is 50 years old and is a mother to eight children, including a set of twins! (Multiple births are very common in Ethiopia. The hospital has had two sets of triplets in the last couple of months.) She is married and lives with her husband and has had prolapse for the past five years. Thank you for helping to change her life. Matafe is 60 years of age and has six living children. She has had prolapse for four years and lives with her husband who is ill. She was actually brought in by one of the sons of a patient from last week! His mother’s surgery went so well that he told her she needs to have the same thing and offered to bring her in and help take care of her afterwards. Drs Mark and Nate were very happy and flattered that he urged her to come in and was kind enough to help her in this way. Ayome is 57 years old. She has seven living children after giving birth to eight. She has had prolapse for 10 years and is married living with her husband. 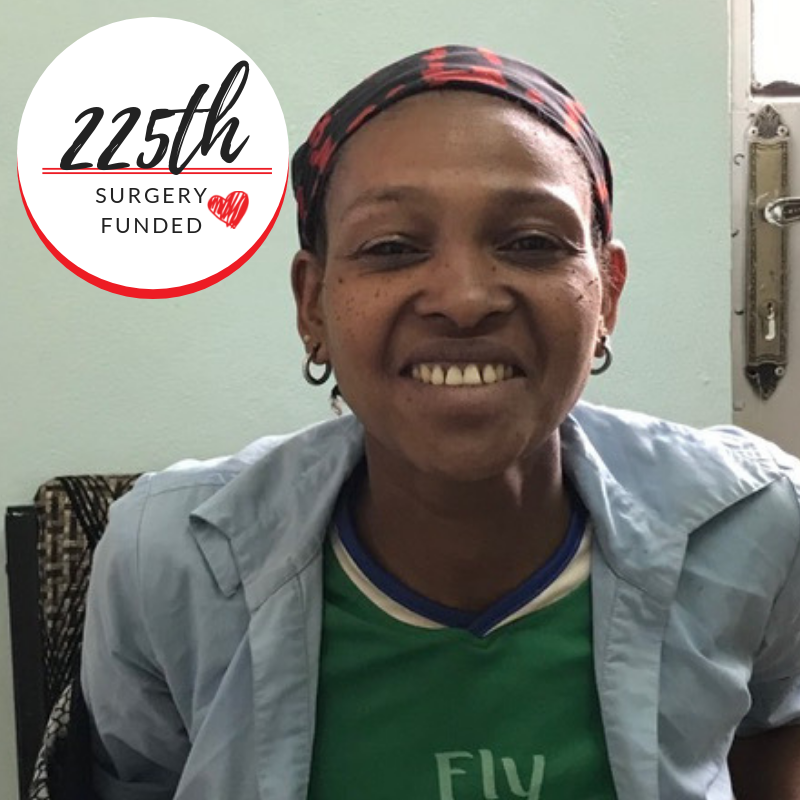 Thank you for sponsoring her life-changing surgery! Aregash is 60 years old and has had six children, five of whom are still alive. She is married and travelled with two of her sons to receive care. She’s had prolapse for four years and the doctors were able to completely address her surgical needs. Mutare is 60 years of age. She has had eight children and six of them are still alive. She’s suffered from prolapse for the past year. Her husband is still alive but has another wife and they do not see each other regularly. Her surgery went extremely well and she is now free of prolapse. Almaz is 55 years old. She has had six children and all but one are alive. She lives with her husband and has had very severe prolapse for the last three years. She is now free of her prolapse and recovering well. Thank you for your generosity! Genet is only 30 years old and only has one child. She’s suffered from severe prolapse for three years and desires more children. She was crying in clinic saying how prolapse has ruined her life and she couldn’t leave her home or go to other people’s houses. She was SO happy to have surgery and is so grateful for your support. This surgery has literally changed her life! Askalech is 45 years old. She has five children and lives with her husband. She’s suffered from prolapse for one year and has now had a successful surgery. She is now free of her prolapse! Mounone, who is 60, has had prolapse for eight years. She is widowed and had six children, 3 of whom are still alive. 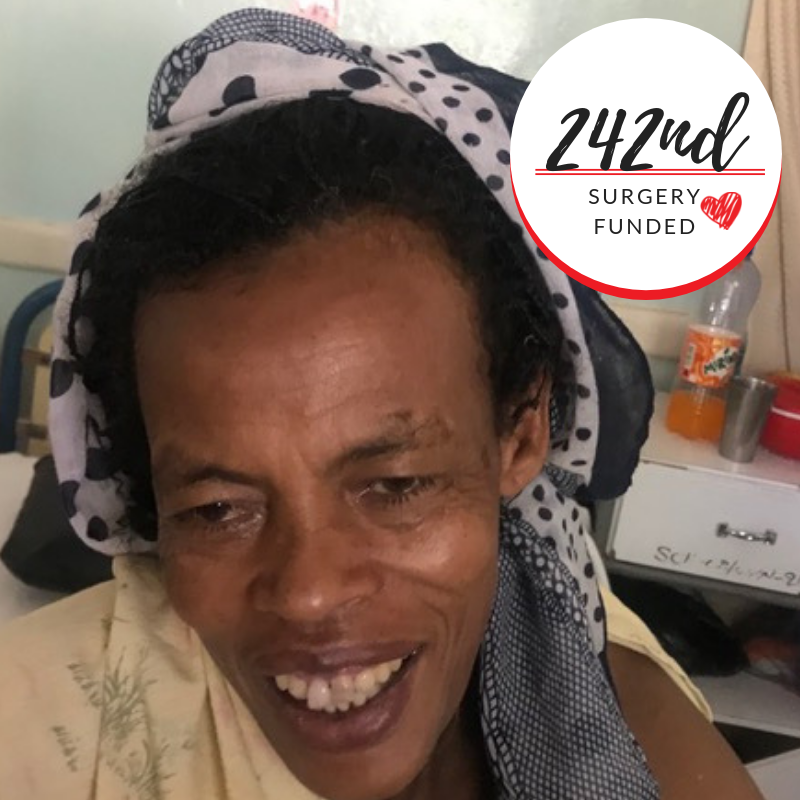 Her oldest son accompanied her (this is common in Ethiopia where the oldest son bares a lot of family responsibility) and she successfully underwent a definitive prolapse surgery today. Thank you for your support! 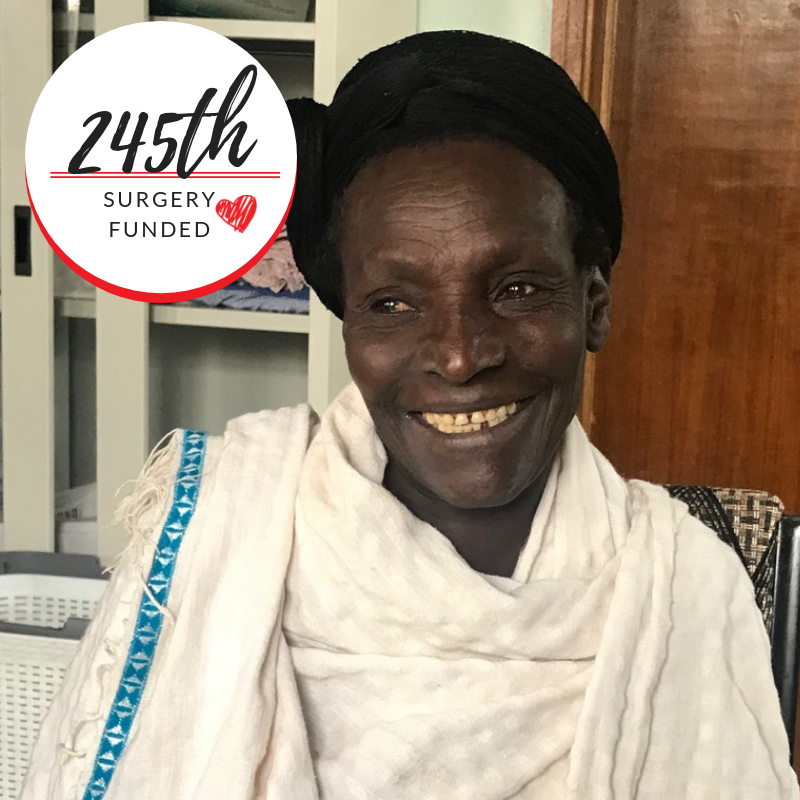 Abebech has suffered from prolapse for four years. She is married and had a large cystocele. She was pregnant seven times and has delivered seven children who are all living. Thank you for helping her! Azelech is only 30 years old, has been pregnant six times and all of her children are living. 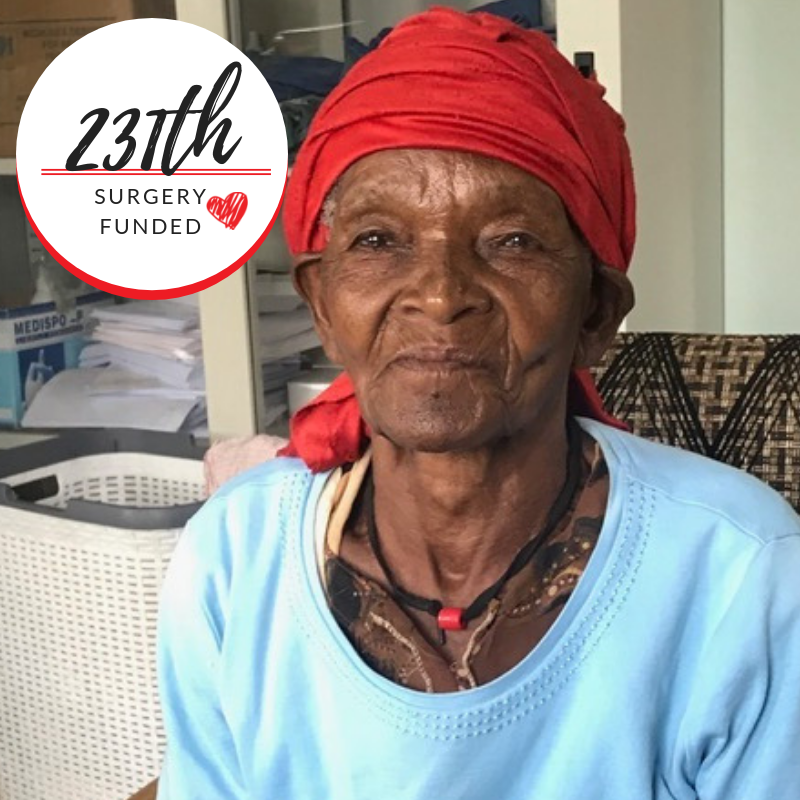 She has had 3rd° prolapse for 18 months since the delivery of her sixth child and now she has received her life-changing surgery at Soddo Christian Hospital. Gistane is a widow who has been pregnant 12 times. Eight of her children are living. She has suffered from prolapse for 13 years. She is so grateful to have this taken care of. She sends her blessings to all of you and wishes you all long lives. Tewabech is only 35 and has had severe prolapse for about a year. She only has one child and wants to have one more so many of the surgeries that Drs. Mark and Nate do were not appropriate for her. However, they were able to perform a surgery that addressed her prolapse and still allow her to have children. We trust that she and her husband will be blessed with another child!